Did you know that September is National Honey Month? With the chemistry of collecting nectar, pollen, and resins from flowers, bees make the sweet elixir known as honey. Pure, raw honey contains powerful antioxidants, nutrients and flavonoids that may help moisturize, and combat bacteria and aging skin. 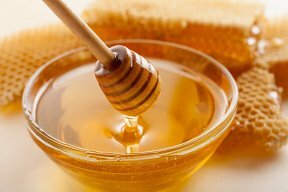 Below, are few ways you can introduce honey into your beauty routine. Moisturizer – Since it has the ability to hold on to water, honey naturally moisturizes without creating an oily feel. To hydrate skin, apply raw honey directly and wait 20 – 30 minutes. Rinse off with lukewarm water to reveal softer skin. If you’re short on time, try the Nubian Heritage Honey & Black Seed Body Lotion that contains Arabian Honey to quickly moisturize dry skin. Exfoliator – Since honey contains natural enzymes like diastase and invertase, it can be used to gently exfoliate skin. For double exfoliating power, mix one part honey with one part brown sugar and gently scrub into wet skin. Finish by washing off the treatment. 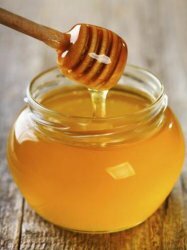 Reduces scars – Because it contains anti-bacterial and anti-inflammatory compounds, honey can help decrease the appearance of scars and also aid in healing and repairing tissue. To create a mask that can help minimize scar appearance, mix one part raw honey with one part jojoba oil or olive oil. Apply the mask to the affected area and gently massage for one to two minutes. Follow this by placing a warm towel over the area. Repeat as needed to help with scar repair. Relieve dry cuticles – Since it is full of nutrients that can heal skin, it is no wonder honey can be used for many beauty treatments. To relieve dry, cracked cuticles, combine one teaspoon each of raw honey, almond oil and aloe vera. Massage into your cuticles for several minutes and rinse off. Apply several times a week to ward off dry cuticles.